Sector Officer Sanjukta Digal was shot dead when she got down from the vehicle to check a suspicious object lying on the road while passing through a jungle near Balandapada village under Gochhapada police station limits, said Director General of Police B K Sharma. vehicle before they set fire to it. 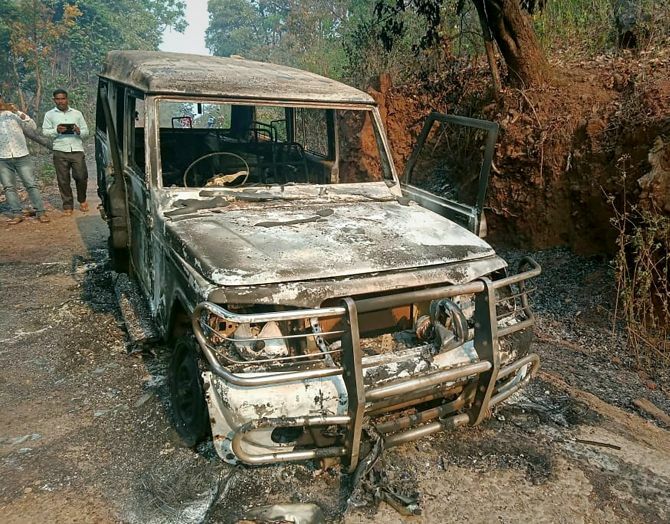 Police suspect that the KKBN (Kalahandi-Kandhamal-Boudh-Nayagarh) division of the Communist Party of India-Maoist) was involved in both the incidents.